Dr. Batsuli is an Assistant Professor in the Emory University School of Medicine Department of Pediatrics in the Division of Pediatric Hematology/Oncology. She received her Bachelor of Science in public health in nutrition with a minor in chemistry from the University of North Carolina at Chapel Hill. Following her undergraduate education, she earned her medical degree from the University of Pittsburgh School of Medicine. Dr. Batsuli completed her pediatric residency and pediatric hematology/oncology fellowship at Emory. 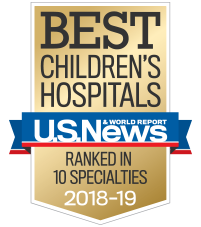 She treats children with bleeding and clotting disorders as a member of the hemostasis and thrombosis team at the Aflac Cancer and Blood Disorders Center at Children’s Healthcare of Atlanta. Her primary research focus is on evaluating the immune response against blood coagulation protein factor VIII in the bleeding disorder hemophilia A, as well as characterizing the interaction of factor VIII with antigen presenting cells in the laboratory setting.